Everybody knows the Arenberg and Carrefour de l'Arbre, but these unsung sectors of pavé are worth knowing about. 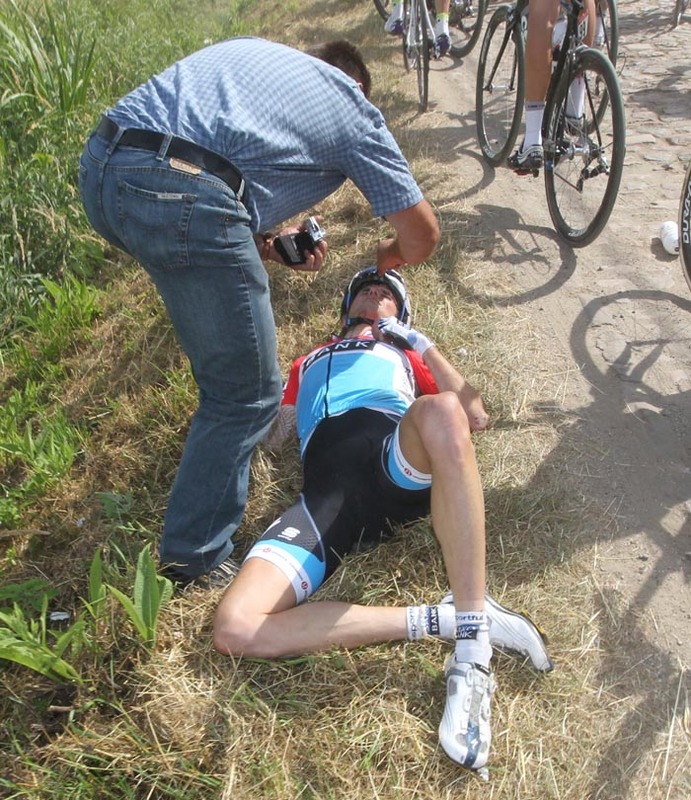 The cobbles of Paris-Roubaix are a bit like a greatest hits album. There are a handful of songs – or in this case, sectors – that people know well. 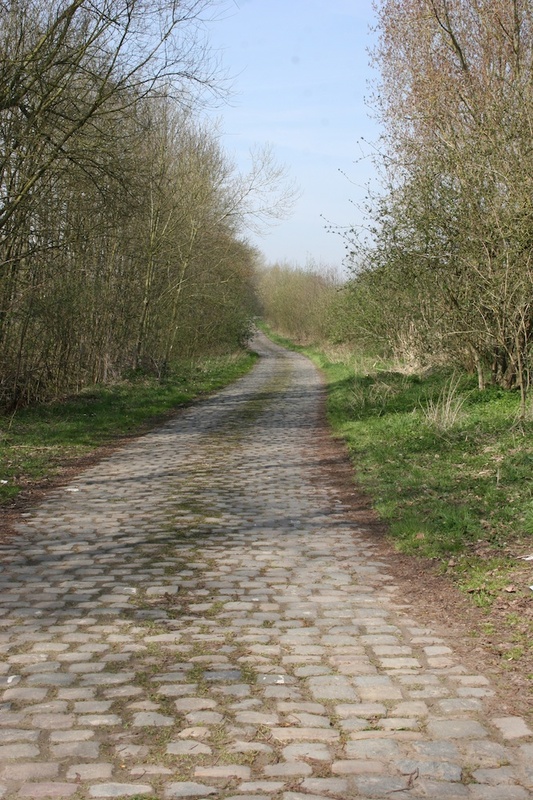 The Arenberg Forest, for example. Then you’ve got those songs that are like the two-star rated (out of a maximum difficulty of five) sections at Saint-Python and Templeuve: they’re the lesser hits, worthy of a place towards the end of a compilation, but nothing special. However, buried in the middle are those hidden gems that are often overlooked for their higher-profile counterparts. And just because they don’t lack the status of the Arenberg or Carrefour de l’Arbre, they are among the toughest along the race’s 253.5 kilometres. Here, Cycling Weekly celebrates those challenging yet under-appreciated sectors of Paris-Roubaix. Coming after 98.5km, Troisvilles is the first of the race’s sectors of pavé. Like many sections, it is approached on a two-way road that narrows significantly on entry (in the case of Troisvilles, riders turn left onto it). The cobbles are relatively uniform and modestly-sized, however this section begins largely downhill, resulting in a fearsome pace, before it begins to climb in its second half, which also has a prominent crest in parts. Bradley Wiggins says he prefers entering this section at the back of the peloton to avoid the “mess at the front”. Tackled 10 kilometres after the Arenberg Forest (KM170.5), Hornaing is the longest sector of the race. It begins with some large cobbles and either side of it features some unpleasant gravelled and broken-tarmacked areas. After a level crossing and right turn, the cobbles become notably smaller, but the crest becomes more pronounced and both sides of it transform into uneven and unpredictable paths of travel that could easily puncture tyres. 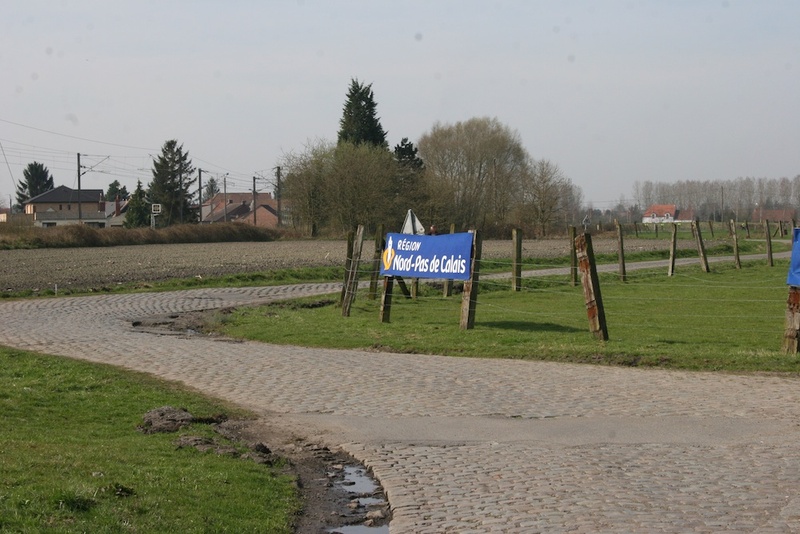 Sector 14 has featured in the Tour de France’s last two cobbled stages: in 2010 it was the scene of Frank Schleck’s race-ending crash, while last year CW got caked in mud here standing on the roadside. It’s only respite comes on the small stretches of newer cobbles that are included in the sector, the rest of it is an uneven and unpredictable stretch that features some sizeable cobbles along the way. 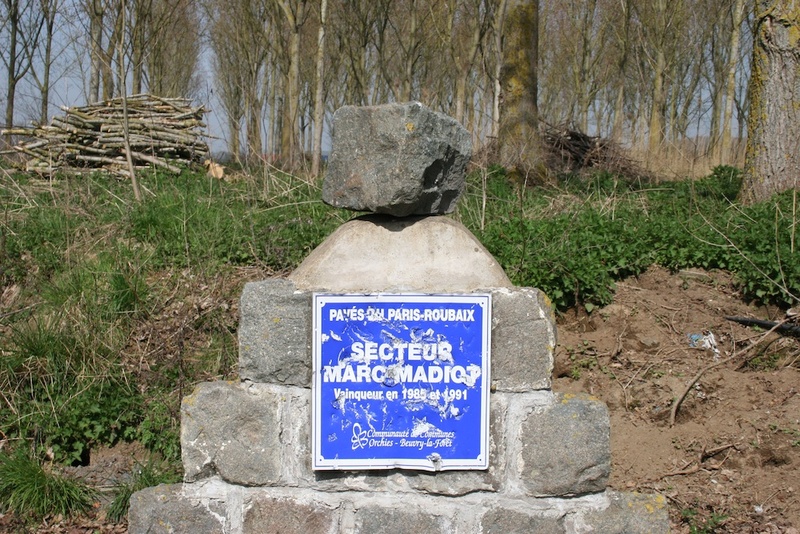 Singled-out by some local cyclists we spoke to, sector 13 starts alongside a monument for double Roubaix winner-turned-FDJ boss Marc Madiot. This sector, which comes after 188 kilometres, is (probably) like the bespectacled Frenchman rants: short, but enough to make you feel bad. The vehicles passing by along the adjacent A23 motorway will make you feel like you’re going slowly across this narrow sector, whose cobbles are notably spaced out from each other. Its cinder track is gravelly and muddy, so that’s not a good line to take. Half of this sector was laid specifically for Paris-Roubaix. It starts off passing through woodland, and ends up on a small residential street. This sector lasts about as long as a Party Political Broadcast, and is about as enjoyable as one, too. First included in 1980, the poor condition of its cobbles meant it didn’t feature in the 2007 and 2008 editions. Riders turn left on it (again from a wider road), and it’s difficult throughout. The crest is the best place to ride for the most part, but its cobbles in its second half are not in good condition and there’s not much grip on which to tackle the first of its quick-fire left-then-right turns with ease at high speed because of gravel. A group of Arnaud Démare fans have parked a camper van here, too. 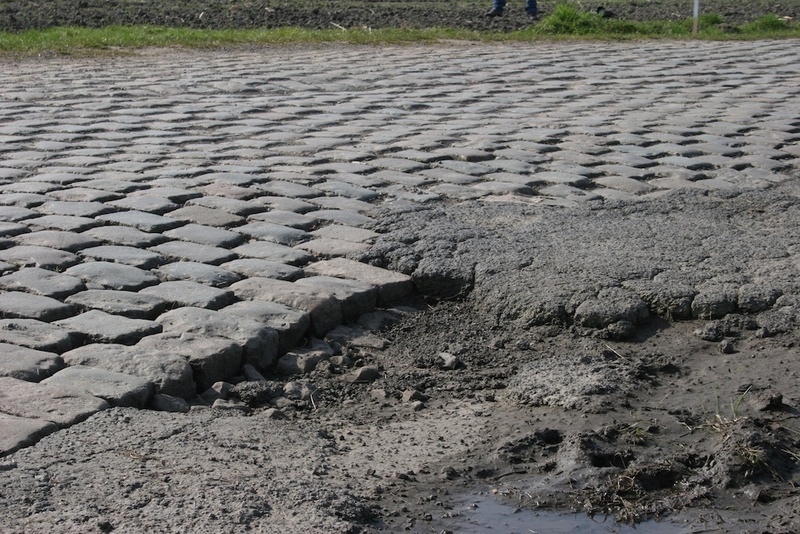 Once removed from the race because of the condition of its cobbles, Auchy-lez-Orchies is still unpleasant despite repair works. This sector is largely overlooked because it is followed a kilometre later by the Carrefour de l’Arbre. Nonetheless, it’s another challenging section, most notably once it works its way away from a farm and its predictable scent at the start. The crest is the best line to take on approach to its right-hand bend, as there are greatly sunken cobbles on either side, although the size of each stone here is notable (hint: they’re big). 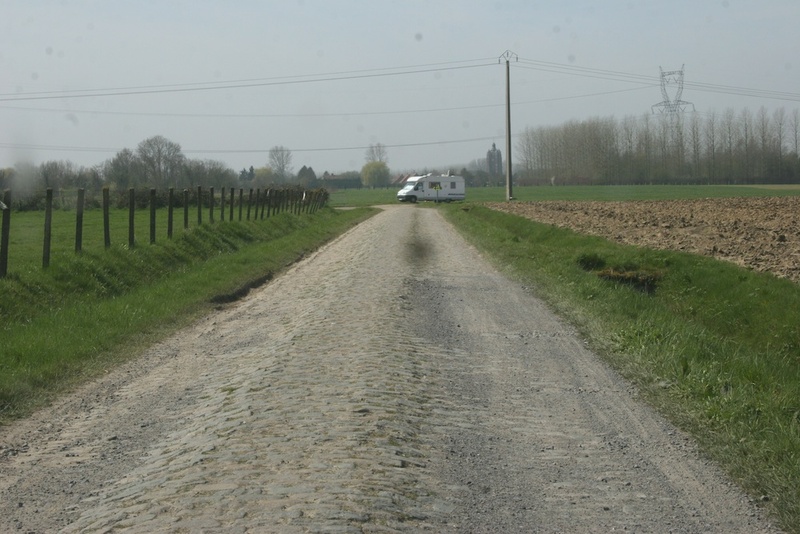 The pavé become smaller after the bend, before the bigger ones return for the incredibly difficult final 300m. The nature of this section would mean it would contain plenty of puddles in a wet Roubaix, if the weather gods deliver such a thing again.